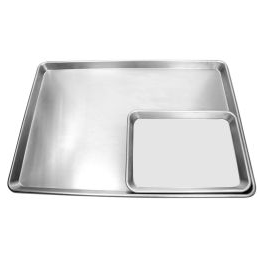 Our sheet / bun pans are manufactured from 3003 hard aluminum. Each pan features a durable wire reinforced rolled rim. An essential pan that every kitchen needs!